MasterCook is a recipe management tool that allows users to organize and manage their recipes while simultaneously performing cost and nutritional analyses of them. Whether users decide to browse for new recipes through the thousands of them provided by MasterCook, or to add their own family-favorites, the program makes finding and deciding what to make for your next meal simple. MasterCook works by allowing users to create and manage cookbooks that consist of new and old recipes. 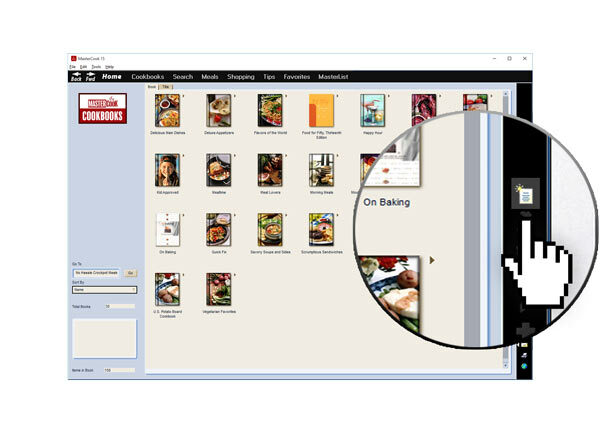 These digital cookbooks are similar to the ones found in every kitchen, but can be customized and organized to each user’s individual preference. For example, users can create a cookbook that specifically excludes tree nuts. Or they may choose to create a cookbook consisting of quick, weeknight-friendly meals. There is no limit to the number of cookbooks a user can create, and each cookbook can contain up to 12,000 recipes. 1 Click on "Create a cookbook and add your own recipes"
To create a cookbook, begin by clicking on the new cookbook tab, located at the top of the menu. The menu is located on the far right side of the page. 2 Click on "Create a cookbook and add your own recipes"
Insert a recipe into a Cookbook. 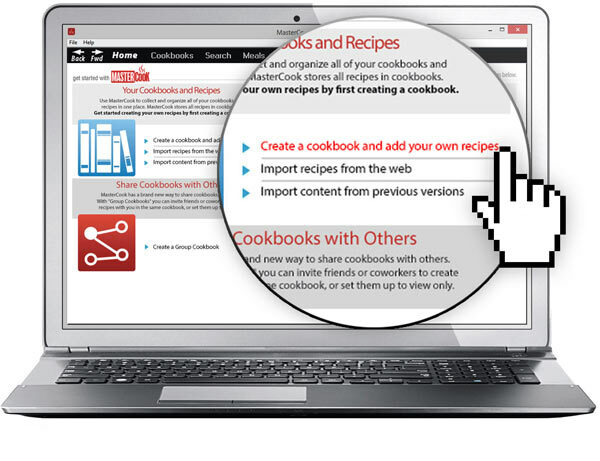 Users have three options when it comes to inserting recipes into their MasterCook cookbooks. The first option is to add their own tried and true recipes. The second option is to search through MasterCook’s recipe archive. Searching for recipes within the archive can be as simple as looking for one within a particular cuisine, or as refined as searching for a recipe that contains less than 1 gram of fat per serving. Lastly, users may choose to import recipes from the web, whether from their favorite food blog, magazine, etc. Recipes from all three platforms can be compiled into every cookbook, providing a wide variety of recipes to choose from for any occasion. All three options can be found in the menu bar, located on the far right corner of the screen. MasterCook’s offerings don’t end with cookbooks. Users can prepare shopping lists, design menus, meal plans, perform cost and nutritional analyses, and even create wine lists. What does MasterCook 15 mean? MasterCook 15 is the latest version of the MasterCook software program. One function that makes MasterCook 15 (MC15) different than the prior versions is that it allows users to sync the program on multiple devices. 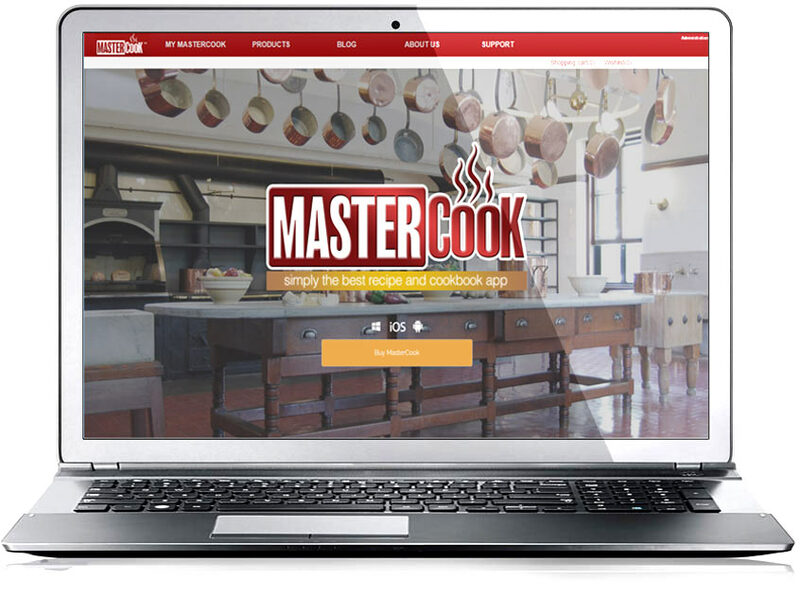 Now users have the ability to access and explore MasterCook on various computers, smartphones and tablets. One example of the convenience this provides is through shopping lists. 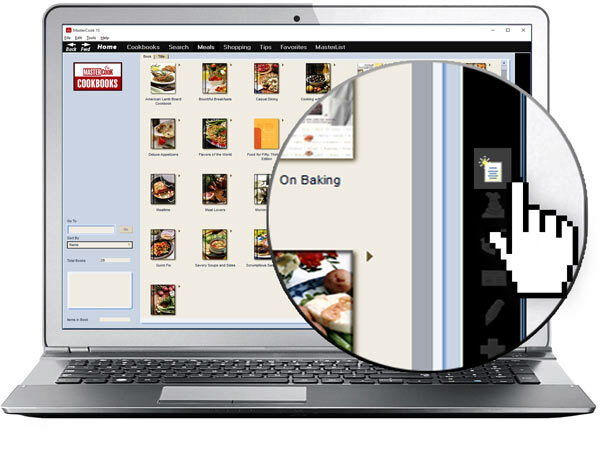 Users can create shopping lists while searching for recipes at home. The user can then access the recipes through the MasterCook application on their phone while at the store. Group cookbooks, which provide users with the option of sharing and collaborating with other MasterCook users on cookbooks, are another new feature within MC15.The MC15 mobile application is available through Google Play for Android devices, and the Apple App store for Apple products. It is not yet available for Kindles and other e-readers at this time. How do the different platforms interact, and how are they different? Users may access their MasterCook account through three different platforms, MC 15, MasterCook.com and the MasterCook mobile application. Through MC15, available for Windows 10, 8.1, 8.2, 7 and Vista, users can utilize all of the extensive features that MasterCook has to offer. Features such as performing cost and nutritional analyses, finding substitutions, organizing pantry ingredients, creating meal plans, group cookbooks and wine lists are only available through MC15. 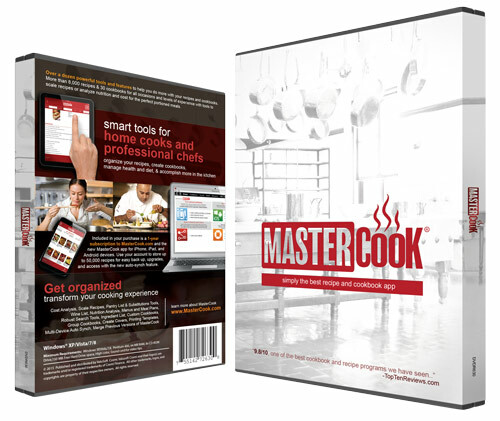 MasterCook.com is accessible through all Internet browsers, and is available as both a free and paid subscription. The free version allows users to store up to 25 recipes for 90 days, while the paid version holds up to 50,000 recipes. 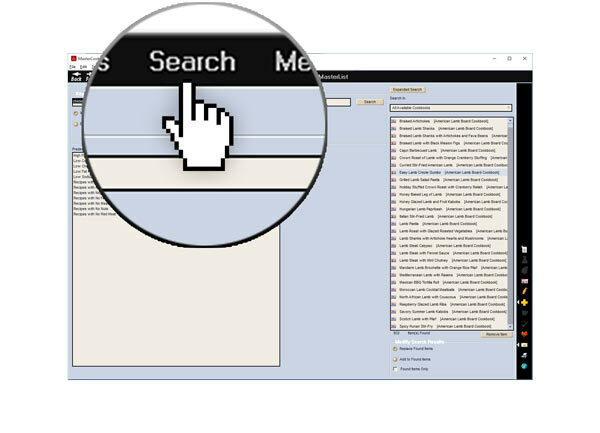 The web importer tool within the website provides users with the ability to directly import recipes from the web. 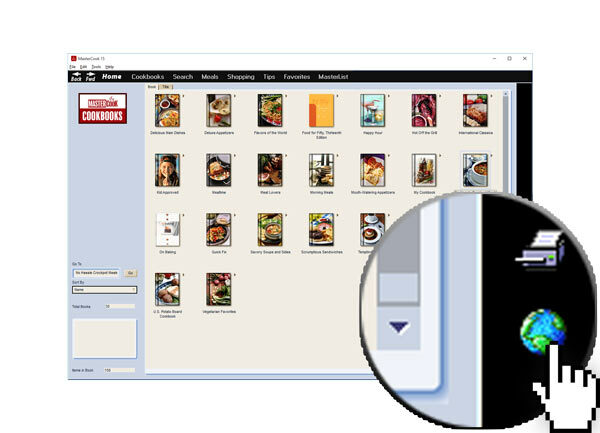 Imported recipes can then be accessed from a mobile app and synced into MasterCook 15 on the computer. The MasterCook mobile application is very similar to MasterCook.com and is free for all MasterCook users since it works with a MasterCook.com account. Both the website and application allow users to create and access cookbooks, shopping lists and add recipes. Users may also scale recipe serving sizes as well as use import recipes from websites using the MasterCook mobile application.